My friend Sarah loves her car. Seriously loves it. So when a rogue deer did significant damage to it one dark February night, she was heartsick. When she finally got it back from the body shop, she posted a photo of it on Instagram, rejoicing that her Honda Accord’s sleek midnight blue body had been restored. A friend commented that she loved her car too, and asked Sarah if her car had a name. Regular readers of this column won’t be surprised by her answer. Some months ago I wrote about Sarah’s cat – a boy named Rose, with no middle name to give his feline status some dignity. I suggested Rose Henry. Sarah’s husband balked. “His name is Rose. Just Rose,” he insisted. So, of course her beautiful blue car is currently nameless. Our family vehicles have always had names. After all, sometimes I feel like I spend more time with my car than with my family. I can’t have that kind of intimate relationship with some nameless hunk of metal. Currently, I drive a gold Oldsmobile Intrigue. Her name is Golda MyDear. When I was finally ready to downsize from the minivan mama life, I imagined my next car would be a ’65 cherry red Mustang convertible. Or a sporty SUV. But my sister-in-law’s mother could no longer drive, and they wanted to get rid of her car, so as not to tempt her. It was in great condition, with very few miles, and it ended up in our driveway. A four-door sedan formerly owned by a granny wasn’t what I’d planned, but after a few days behind the wheel, I began to appreciate her tight turn radius and easy ride. 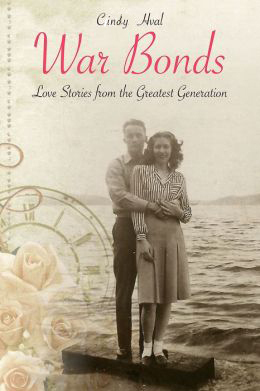 Golda and I hit the road when my book, “War Bonds,” came out. She faithfully took me to bookstores across the state. I thought everyone named their cars, and judging from the response to my social media post about Sarah’s nameless Honda, lots of people do christen their rides. My friend, Annie, drives a Pilot named Pontius. Betsy has a Subaru named Ruby Sue. Just reading that makes me happy. The Curless rigs have more prosaic monikers. “Our truck is the Big Nasty, and the SUV is Grocery Getter,” wrote Gail. Candy said her first car was a Ford Pinto named Bean. Some folks give a nod to pop culture. Fans of the “Guardians of the Galaxy” films will recognize the origin of Rob Brewer’s Sequoia. Its name is Groot. His wife calls their Acadia, Katie. Steven drives “Vandola,” a cross between a van and a gondola, and Kris has Flo the Ford Flex, and Sven the Volvo V70. Our family fleet included the Red Dragon, my ’75 Pontiac LeMans that one hot summer in our glorious BC (before children) years, took Derek and me all the way to Disneyland with frequent stops due to vapor lock. The first minivan I drove was christened The Miracle. With a third child’s birth imminent, we desperately needed a bigger, more reliable vehicle than my aging Ford Tempo. We couldn’t afford a car payment, so each night during bedtime prayers, our oldest sons prayed for God to send us a minivan. A few weeks before Zachary’s birth, Derek’s brother and sister surprised us with a used Dodge Caravan. “We just felt God wanted you to have this car,” his sister said. “It’s our miracle!” our firstborn said. Miraculous or not, our cars get us where we need to go. They help us provide for our families. If that’s not deserving of a name, I don’t know what is. Alas, Sarah’s beloved Honda is still nameless. My husband suggested she call it The Deer Slayer, but I haven’t had the heart to mention that to her. She’s dealing with far more important issues at the moment. Well. You have to respect her priorities. Contact Cindy Hval at dchval@juno.com. She is the author of “War Bonds: Love Stories From the Greatest Generation.” Her previous columns are available online at http://www.spokesman.com/staff/cindy-hval/. Follow her on Twitter at @CindyHval.